I was really looking forward to seeing this in my box because subscribers were able to choose which colour they wanted before the boxes were delivered. Out of pink and purple, I chose the purple one because I didn't want to confuse it with my original Beauty Blender. The Beauty Blender has become a staple product in my make-up bag and I've been loving the Spectrum Collection ever since I received the tapered powder brush in February's Birchbox. So receiving the Unicorn Tears Wonder Sponge seemed like the perfect combination of both and I couldn't be more happier about it. Lip stains, lip stains, lip stains... my favourite make-up product in the world (alongside eyeliners). As if I don't own enough lip stains, I've now got one more to add to my collection - not that I'm complaining! Sometimes, lip stains can dry too quickly during application, so I love the fact that TheBalm Cosmetics Staniac is water-based because it takes slightly longer to dry, meaning that you have more time to blend and correct. Oh! Did I also mention that you can use this product on your cheeks too!? Other than using hair detangling spray and dry shampoo, I don't really use any other hair prepping products like serums or oils on my hair because I always feel like it'll weigh my hair down and make it more greasy than what it already is. However, I am a little keen to try out this balm-to-serum product on my hair just to see if it'll change my mindset on these kind of products. The PK Prep Polishing Balm does also contain ProVitamin B5 and Vitamin A to nourish the hair too, so there's no reason for me to not try it! I have to admit, I am just too lazy to exfoliate my whole body. With my face, I always exfoliate at least once or twice a week as it's easy because you're only covering a small area. However, if you're telling me to take time out to scrub my whole entire body, my brain would instantly be in shut down mode. I wish I wasn't like that, so I will put in extra effort to use this body scrub to see if it's performance can break me out of this habit. First thoughts on this product were... "How amazing does this moisturiser sound?!" Having the word 'Sorbet' in its name made me instantly think that this moisturiser is insanely refreshing for the skin with a pleasantly fruity smell for the nose. The first part is correct because the gel-cream formula does soothe, hydrate and reduce redness. Whilst the second part is less pleasant as it holds a strong floral smell, which I'm not too fond off. Coconut oils has had an on-going rave since last year and I actually haven't came round to trying it yet. I absolutely adore the coconut water from Vita Coco. So when I saw a sample of their Coconut oil in my Birchbox, I was instantly prompted to try it. I used it for one session of oil pulling and I can genuinely say that I am going to purchase a full jar of this, as it smells amazing and is actually the perfect health and beauty all-rounder! Really happy to have received this sample in my box! My feelings for this month's Birchbox has been pretty neutral. I'm neither ecstatic nor disappointed with my box because I've received a few products that I know I will most likely continue to use. There are also products that I know deep down won't make a comeback on my vanity table but hey ho! That's what Birchboxes are about! To let you try products which could lead to future purchases. Not everything is going to suit! 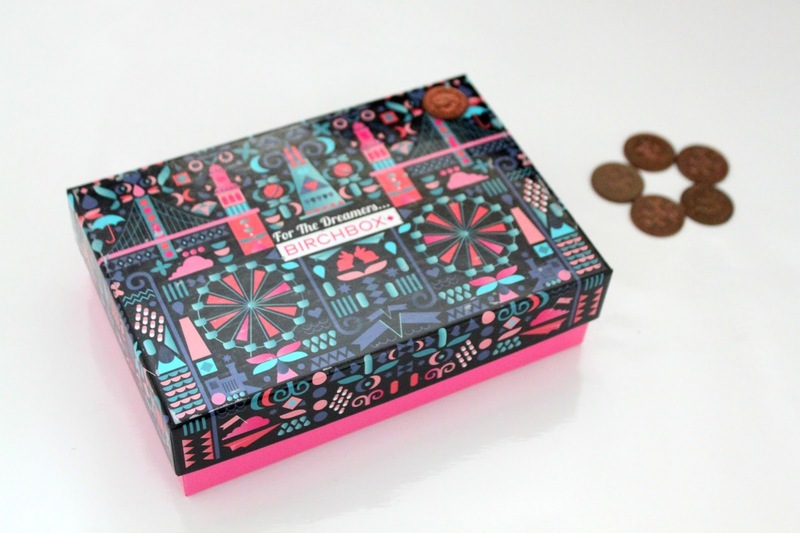 Have you tried any of the products featured in my Birchbox before? What did you think of them? I love May if not for the allergies that come with it! What a nice collection within your Birchbox. 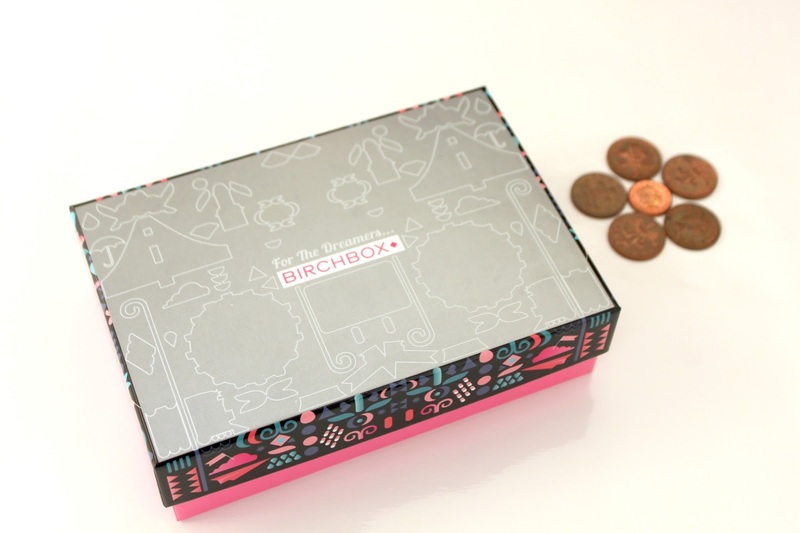 I've always been curious to try Birchbox, we don't have it where I am from. I love that it came with a Caudalie product, it's such a beautiful brand. The Balm Stainiac didn't work for me, I received a small deluxe sample like that one in a beauty bag with purchase at one of our department. I think mainly because the ones they were giving out were half empty and quite dried out. I love the idea of the stain though! I enjoyed your May UK Birchbox review and I have tried Rituals bath and lotions and Caudalie products! 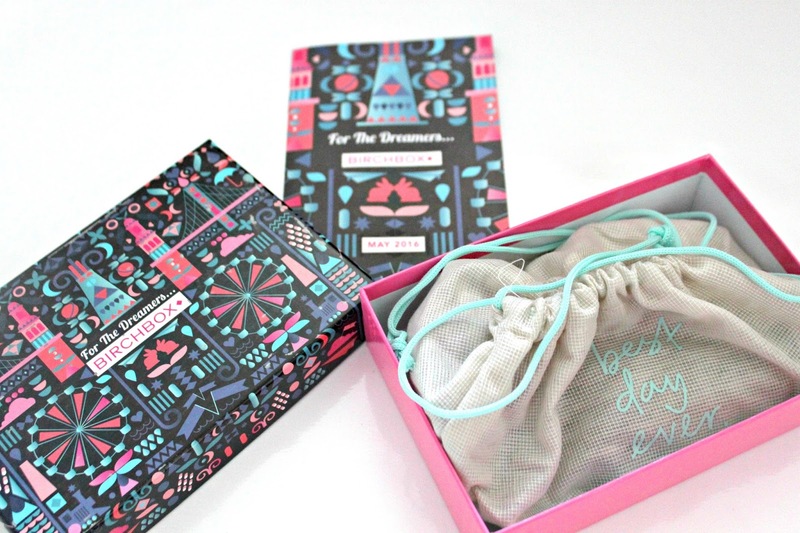 I am enjoying the US Birchbox theme of "get outside" which partners with KEDS footwear and SPF products! I know that I will be using all my items this month! !